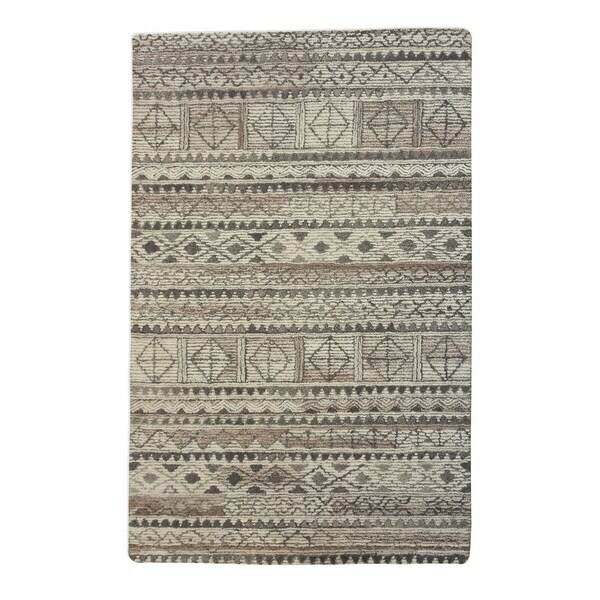 Hand tufted ivory and grey wools, accented with rust tone details, featuring a tribal inspired ornate design. Dimensions 120.0 In. X 96.0 In.